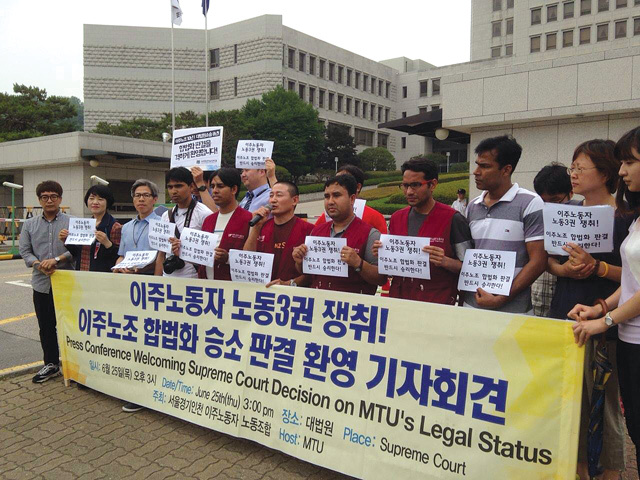 On 25 June last year, a trade union representing migrant workers in Korea gained legal status from the highest court for the first time, and leading it is Udaya Rai from Nepal (seen at centre, picture below). This milestone in the Seoul-Gyeonggi-Incheon Migrants’ Union was the result of more than a decade of struggle led by Nepali workers with support from the Korean Trade Union. South Korea started to import foreign workers for its booming construction, manufacturing and agriculture sectors after 1988 Seoul Olympics. The next decade saw rapid economic growth until the Asian Financial Crisis of 1997-98 hit Korea hard. The Industrial Trainee System of the 1990s was introduced to address a domestic shortage of low-skilled workers in labour-intensive small and medium-sized enterprises. This gave way in 2004 to the current Employment Permit System (EPS) that ensured that conditions for migrant labour was at par with Korean workers. The legalisation of migrant labour unions and improvements in the rights of foreign workers was a result of struggle and public awareness-building by Korean civil society activists. Satire programs like Bad Boss on Korean Broadcasting System also helped turn public opinion in favour of better working conditions for migrants. Nepal started sending workers to Korea under the EPS agreement in 2007, and there are now 33,000 Nepalis employed in Korea. Among 15 countries that Korea imports labour from, Nepal’s annual quota is maintained at above 5,000 level. In recent three years, there were 5,234 Nepali workers employed in Korea in 2013, 5,939 in 2014 and 5,300 in 2015. The majority of them are recruited in Gyeonggi and Gyeongnam Provinces. Korean employers prefer Nepali workers because they are seen to be hard-working and good-natured. “We do not hesitate to do extra work like night duty that Koreans don’t do anymore, maybe that is why they prefer us,” explains Bhupendra Khatri, 32, who worked in a metal foundry in Gyeongnam Province from 2003-2010. Despite the official EPS system, there were Nepalis who entered Korea with tourist visas and stayed on illegally. Kismat Mani Shrestha, 55, was one of them who went to Korea in the 1990s and stayed on to work at a garment factory in Gyeonggi Province. 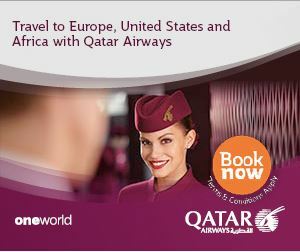 “We started working without a proper visa, and our boss kept our passports and never returned them,” recalls Shrestha. Still, workers like him organised and demanded better pay and working conditions. It is partly due to the struggle of pioneer Nepali workers like Shrestha as well as Korean labour activists that foreign workers in Korea today are guaranteed minimum wage, insurance and health benefits under the G2G (government to government) agreement. 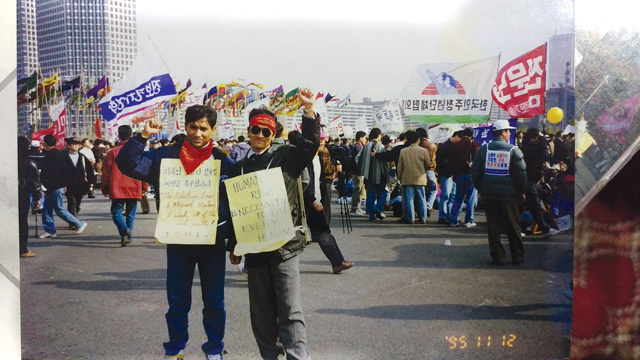 Since early 1990s, protests for minimum rights of migrant workers also took place in Myeongdong Cathedral, Seoul, the symbolic space for South Korea’s human rights and democratisation movement. Korea’s strong labour movement used to make international headlines through self-immolations and strikes. Korea used to export its own labour to construction projects in the Middle East in 1970s, but turned into a labour importing country. There is therefore considerable support for the rights of migrant workers from countries like Nepal, Bangladesh, and Sri Lanka. However, Nepali workers in Korea are still not treated as well as their Korean colleagues. They earn less for overtime, there are delays in salaries, as well as verbal abuse. 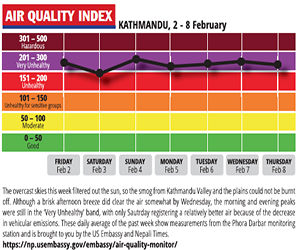 Nepalis in Korea fare much better than their compatriots in the Gulf and Malaysia. “Nepalis working in Korea are protected by the inter-government agreement, but in the Gulf and Malaysia we need to help them to be aware of their rights and contracts,” says Khatri who is a member of the advocacy group, Asian Human Rights and Culture Development Forum. Victims' families get financial relief, but what should the criteria be?